Affordable Low and High-Rise Honeycomb Housing: Remember Subang Airport? 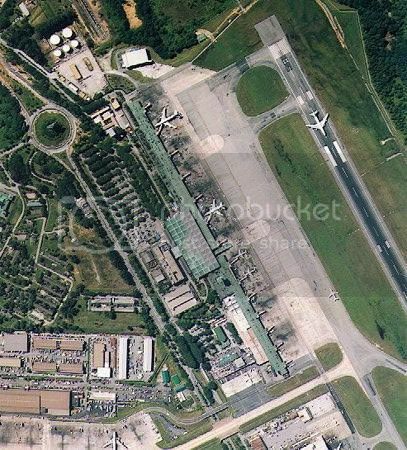 Subang Airport, just outside Kuala Lumpur opened in 1965 and was quietly demolished this year. The terminal building was a grand building in the modern style, conceived as a large open volume rather than an enclosed building. It had tall free standing columns opening out at the ceiling like a tree canopy. 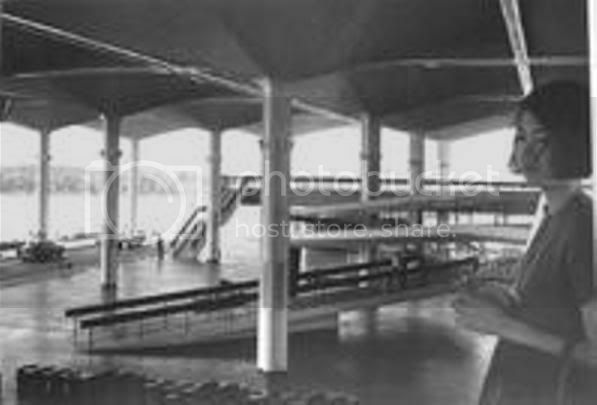 The centrepiece was a great spiral ramp in the centre of the arrival/departure hall. My memory of the building is as blur as the images that I managed to mine from the internet, but I remember going there when my uncle returned home from Australia in between his studies. He gave me a Lego set, the best present I ever had! In those days you could go up to a balcony on the upper floor and wave goodbye to passengers moving along a walkway to the aircraft. Less than a decade later I had my turn on that walkway waving back at my family on my way to the UK. It was my first experience flying, and I was with Czechoslovakia Airline! By the 1980’s, the terminal building had gone through its first renovation: the spiral ramp was gone; goodbyes had to be made at a nondescript doorway to the immigration counter. In the late 90’s the new KLIA airport opened for international flights amid great fanfare. A few years later, the local flights at Subang too were moved out to KLIA. This new airport was supposed to be one of the world’s best airports, but I didn’t think so. It was too far away from the city, and the travel there took so long that it didn’t make sense to take local flights to previously popular destinations like Penang, Johor Baru or Kuantan. Revenues for the national airline MAS dived. Initially parking charges were so expensive that I had to park in an open air area and then take a bus to the terminal building. From the ticket check-in to the departure gate was another long distance to travel. They said this was a modern efficient airport, but from a user’s point of view, there was just too much hassle and expense. It was said to be an architectural masterpiece but, approaching the KLIA airport, what you see is a great big car-park with a fancy roof. This airport just wasn’t built for users – it was one of many mega projects of that political era. Female Malaysian Chinese workforce would have to walk over 8km a day transporting half a tonne of concrete in the scorching heat. The most memorable day for Pratt was when they were going to strike the first of 60 inter-connected shell roofs in early June 1964. The hyperbolic paraboloid shells were considered to be the natural structural solution to the design of the main terminal building which was conceived as a large, open volume rather than an enclosed building. 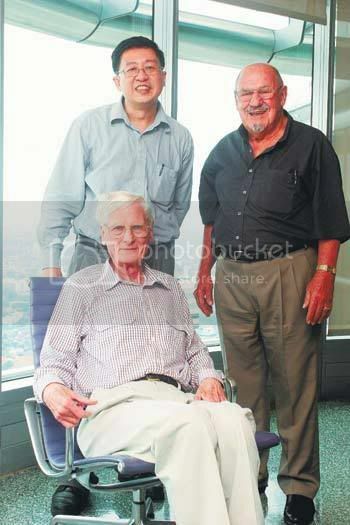 "At 3am on that day, Hans Goldstein, the engineer, calls me and says, 'Ron, I'm scared'." To strike each of the shells, formwork around each of the shells was to be removed uniformly to avoid uneven stress, which may have cracked the shells. "All of a sudden, you hear a loud crack as the formwork released itself simultaneously from all around the shells. There were great cheers all around and this happened for all the 60 shells." The airport was built during 'Konfrontasi' (a military stand-off between Malaysia and Indonesia) and the airport was an especially high-profile project. "On one occasion, we were about to leave the site at the end of the day when we were told that a group of Indonesian soldiers had taken possession of the Federal Highway. We had to convoy with a couple of Bren gun carriers into town but nothing actually happened to us," says Pratt. "I've heard that there were plans to turn the airport into a convention centre. The question is, why couldn't they incorporate the building into whatever new plans they had, instead of demolishing it?" The strange thing is that having hurried the demolition, I'm not sure if there is any hurry to start work on a new building! 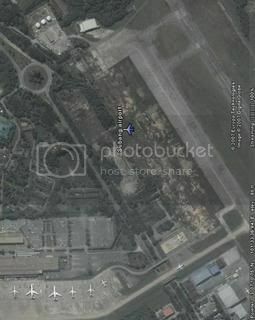 Whomever demolished and built the new monstrosity over the exquisite airport should be hanged. How could you do that to a National Treasure?